"I'm from Japan. I like to wear big jumpers (sweaters)." 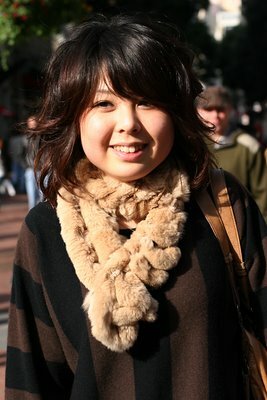 I love her oversize brown/black striped sweater and her great hair. 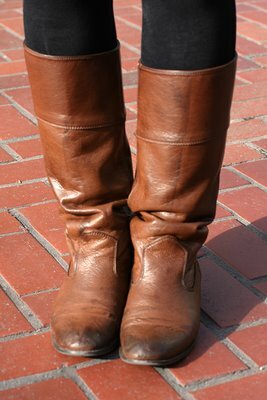 A look at her well-loved boots.